Weekend (Fri-Sun) $410.00 per night. Two night minimum stay ,Three night minimum stay on long weekends and school holidays. All school holidays charged at weekend rates. The cottage was very clean and spacious, if a bit dated (which adds to the charm in my opinion). 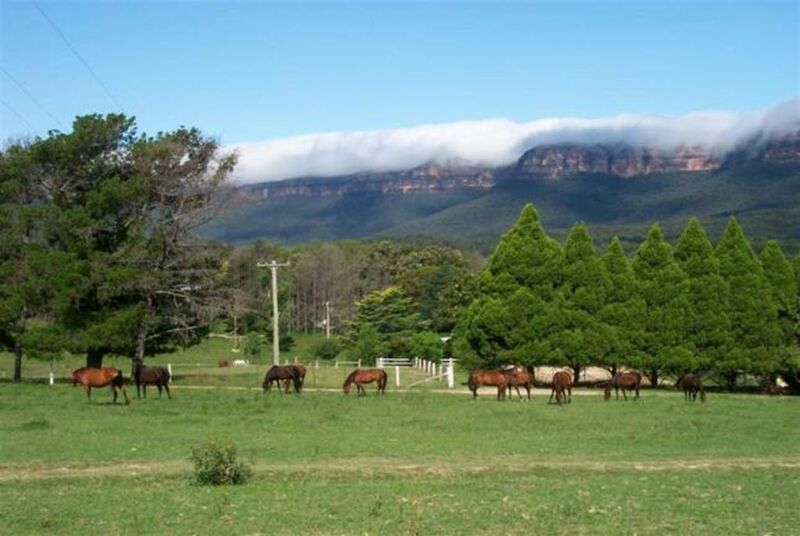 It's very close to Blackheath but feels very secluded, with stunning views and horses wandering around. Great stay overall. The cottage was not really up to scratch. Water was dirty and took most of first day to run clean. No gas in gas bottle, tv didn’t work, tap in kitchen was leaking from base of spout had to put towel around it. The beds weren’t very comfortable. Front door not even on a runner. Toaster had to be held down to work. Couldn’t connect to wifi. Overall the cottage was a very disappointing but we still had a great Xmas in July get together. Horse riding was amazing, the staff were very helpful and friendly. Whilst the scenery was gorgeous and the cottage clean and equipped that's where it ends. Very impersonal. No one to be seen or a welcome in sight. We stayed here to go trail riding as per the website information. We never met the lady who ran the trail rides. Young girls were sent to meet us whom we booked a ride with 2 days in advance only to be text by the lady who ran the trail rides (whom we never met) the night before to say they would be closed and couldn't do it. Whilst we were offered another nights stay In order to ride the next day we needed to get home to return to work. I had a very disappointed 8 year old as was I. The cottage itself could also do with some attention and maintenance. Our church group had a great weekend. The ability to stay into the afternoon was a wonderful feature for us. A few of the things are starting to be a little run down but still was a great place to go so close to Sydney yet still a break away. As soon as we arrived, I knew I'd made the right decision. Although only about twenty to twenty five minutes drive from Blackheath station, the farm feels like it's hundreds of miles from anywhere, some few centuries ago (with exception to the amenties). Every weekend away should fool you into forgetting your day job in the office and the every-day stresses of city domesticity as well as this place can. Charming little place, loved it.